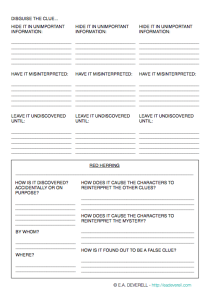 Brainstorm solutions to a mystery that your story/character/life has graced you with. Work backwards from clues that interest you to develop a mystery. 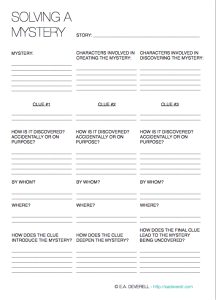 Draw up an overview of your mystery so that you can be sure that all your clues aren’t discovered in the same places by the same people with the same result. Deconstruct and study your favourite murder mystery or solve one before the detective does!